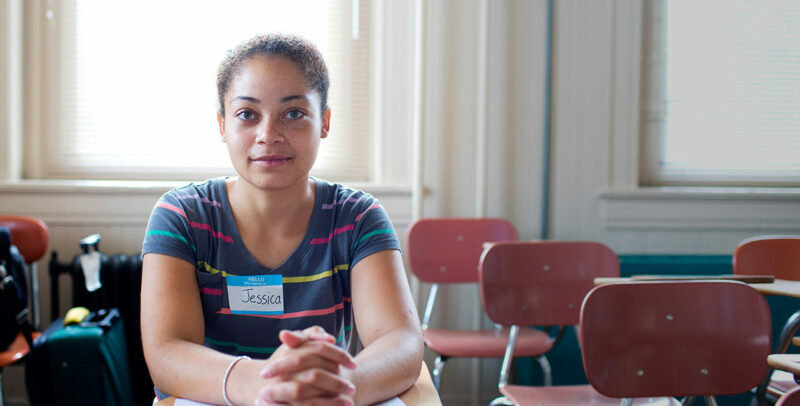 In late 2014, Jessica was working full-time at a daycare center in Pittsburgh and making minimum wage. Although she enjoyed the care-taking elements of working with children, Jessica had hoped to enter the healthcare field for quite some time. The daycare was understaffed and she often had to take on evening shifts. As a single mother, Jessica typically had to care for her children at work after school. She remembered, “I never got off on time and the kids were with me. We were walking downtown at night at 10pm and they hadn’t slept and we were so tired.” As soon as Jessica heard about Generation’s Certified Nursing Assistant (CNA) program in Pittsburgh, she eagerly applied for the opportunity and was selected. Jessica has received consistent recognition for her care and empathetic manner. In fact, “My Unit Director gets letters all the time from my patients.” Even the President of UPMC noticed Jessica’s successes. “He told me that I was going above and beyond and invited me to a breakfast and that was wonderful,” she said. “UPMC gave us a thank you ceremony and a fancy breakfast and that was really great.” Due to her hard work, Jessica can add another accomplishment to her list of accolades: She has advanced to the role of Patient Care Technician.